Brian O’Connor knows refrigeration. As the owner of O’Connor’s Refrigeration, he’s served the fishing industry for the past 20 years, designing and installing chiller systems for lobster pounds. That work led to the creation of an important new local business, Shelburne County Cold Storage (SCCS). “I’ve been in the seafood industry for a while,” says Brian. “So I got to know some of the main businesses. I had been thinking on it for five years before I was able to do it.” Finally, Brian approached his friend Calvin Williams to discuss his idea. They decided there was a need in the industry and they had the expertise to fill it. Located on six acres beside Highway 103 between Shelburne and Barrington near the richest lobster fishing grounds in the world, SCCS is a freezer warehouse currently used to store bait mostly for the lobster fishing industry. “We have everything from Russian redfish to mackerel caught in the Falklands,” says Brian. 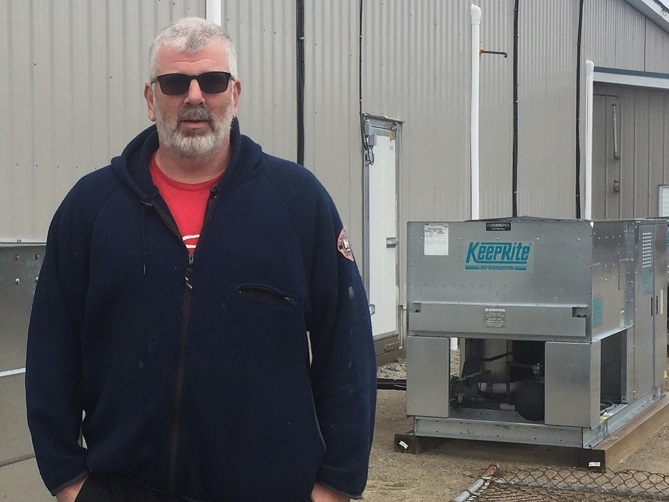 When it came to financing, O’Connor’s Refrigeration had called upon CBDC - Shelburne a couple years before, so Brian returned to discuss his new venture. Ardith Van Buskirk suggested he start with the banks. “They didn’t want to help us” says Brian. So Van Buskirk helped put together a couple of funding sources to add to Brian’s and Calvin’s resources to get SCCS built. “I can’t say enough – they’re very helpful,” says Brian.